This piece started life as a very short movement, which Anthony wrote for a friend’s final recital in 1997. It was extended for his own final recital and grew considerably in length and structure. This collection includes 14 of Anthony’s original pieces for solo clarinet, clarinet duet and B flat clarinet with piano accompaniment, plus new arrangements of unaccompanied works by J.S and C.P.E Bach. Collected together in one volume, it is designed to let instrumentalists experience a contemporary style of writing without creating music that is too difficult to play. Ranging in difficulty from beginner to advanced, Bailey and Bach can be used for progressive technical study in lessons and also as a source of enjoyable new repertoire. The clarinet collection features the solo piece “Contours” which appears above as a separate work. Bailey and Bach has also been arranged for E flat saxophone, with 13 pieces in Anthony’s contemporary style and the same unaccompanied Bach works. 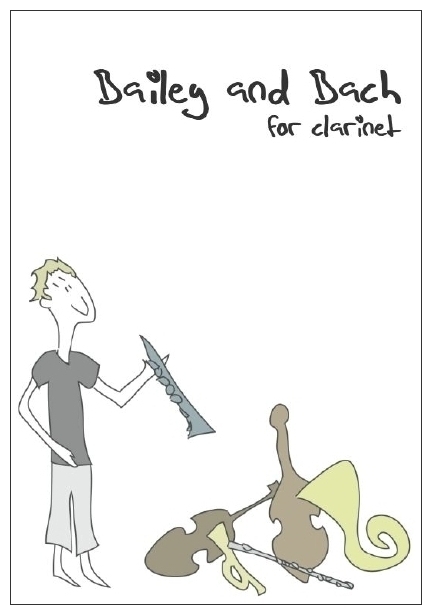 Copies of Bailey and Bach for clarinet or saxophone are available to order through this website. Please email antbailey@hotmail.com or visit the contact page. Based on three poems by Tatyana Voltskaya, these songs were written in 2004 for the soprano Sarah Moule and were subsequently adapted for baritone voice. I circles have thawed beneath pine trees. This short piece for was completed specially for the Philharmonia Orchestra’s Sound Exchange project. It was first performed in October 2005 as part of a live webcast by members of the orchestra: David Theodore (oboe), Mark van de Wiel (clarinet), Michael Cole (bassoon), Laurence Davies (Horn) and Peter Fry (percussion). Each clip below is paired up with a line from “the low clouds” by Russian poet Tatyana Voltskaya. Anthony had just finished setting Three Voltskaya Songs when he started work on Reflections, and the atmospheric images of her words influenced this short piece. You can still watch a video of the session online at theSound Exchange Website, and download a .pdf file of the score. If you would like to find out more about this piece, email ant@antbailey.com or visit the contact page. The clip below is taken from the final section of this one-movement piece for clarinet and piano. It was commissioned by clarinettist Angus Meryon and first performed at the Purcell Room in London’s South Bank Centre. If you would like to find out more about this piece, email antbailey@hotmail.com or visit the contact page. Conversations was written for the Chinook clarinet quartet, of which Anthony is a member. It has been performed in several of their concerts across the UK. The quartet is in several short movements, each exploring different combinations of texture and timbre. The clip below is taken from one of those sections, and you can hear how each of the four players bring their own style of playing to the performance. Copies of Conversations for clarinet quartet are available to order for your ensemble. Email antbailey@hotmail.com or visit the contact page. This three-movement work was commissioned by Chain of Hope. It was written for clarinettist David Campbell, who gave the work its premiere at the Cambridge Summer Festival 2005. In the same concert, Sir John Tavener discussed and performed his own music and previewed work in progress with the soprano Patricia Rozario. The opening movement contains musical fragments of many different characters. The second movement is a slow lament, and the finale is a fast, high-spirited toccata. Chain of Hope is a registered charity in the UK with branches in France, Portugal, Italy, Germany and the United States, whose collective aim is to alleviate the suffering of children born in developing countries, suffering from congenital and rheumatic heart diseases. Written while Anthony was studying at the Royal College of Music, this was one of his first works to be often performed. Scored for wind octet, the piece is in two movements. The first is slow, lyrical and contains the most weight. The second is a brief, fleet-footed fugue in constantly changing meter. This clip plays the opening bars of the first movement. This work was selected by spnm for their composer shortlist in 2004, and will receive its first performance as part of their nationwide season of events. The symphony is scored for an ensemble of 15 players: flute, oboe, clarinet and bassoon, all doubling on their auxiliary instruments, plus trumpet, trombone, horn and string quintet with harp and two percussionists. The work forms an extended set of variations on themes from Anthony’s first opera, The Black Monk. The Prelude starts from silence with deep sighs, introducing the motto theme. It gradually builds through several climactic points, including a biting march, to end with a piercing shriek from the winds. Movement II is a peaceful and lyrical respite, ending with a short fugal section that increases tension and leads directly into Dance. Over an uneven walking bass, this movement features spiky interjections from winds and upper strings based on the motto theme. It is interrupted by a tranquil, soothing passage before taking off again on its raucous way, only to be calmed again by the earlier music returning. In Ground, an ostinato in constantly shifting meter builds in a constant crescendo. The movement is unravelled by a mighty tam-tam stroke, linking this section to the hymn-like Interlude. With one final change of mood the Finale, an energetic and fast dance, ends the work in high spirits. This work was intended as an instantly accessible encore. First performed by the British Clarinet Ensemble in Washington, the piece is scored for three B flat clarinets, alto clarinet or fourth B flat, two bass clarinets and contrabass or a third bass clarinet. Mahleriana has also been arranged for string orchestra. This work for orchestra is based on the Dylan Thomas poem of the same name. It is an organic extended song-without-words, with a brief dramatic outburst in the central section. The first clip below is a taken from a section one minute into the piece, and the second clip plays the closing bars. This work was a commission from the British Clarinet Ensemble and first performed by them at the ICA Clarinet Conference in New Orleans in 2001. 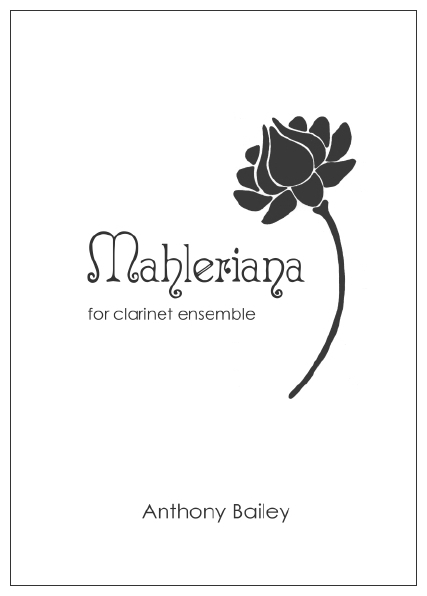 Like Mahleriana, it is scored for three B flat clarinets, alto clarinet or fourth B flat, two bass clarinets and contrabass or a third bass clarinet. The piece is in three sections: a slow, calm contrapuntal section followed by a turbulent interruption, completed by a return to the tranquil music of the opening. This clip highlights the transition from the first section to the second. 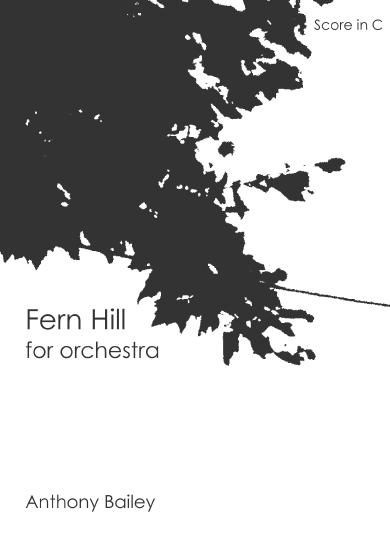 The starting point of this orchestral work was a solo viola melody. The whole piece is based on this theme, which appears right at the beginning. The texture is linear with seldom more than one melodic line at once, which allows for maximum expression with as little thickening as possible. If the opening section is a monologue, then the middle section is the Fugue. This central contrapuntal section leads to a climax after which the opening music returns, and finally dies away on the same note that the work started. The extract below is taken from the central climax of the piece. The following clips were recorded during performances at the Bloomsbury Theatre, London, in October 2003. Clickhere for more information about this joint production with Sirius Ensemble. First performed in 2003, The Black Monk is Anthony’s first opera. The story revolves around an intellectual man who, suffering from over-work, begins to hallucinate. In these visions, a monk veiled by a black cowl talks to the man. Reassuring him that he is a genius, the monk commands that he must never stop working for any reason, even for his health or sanity. The man marries, but his new wife discovers the illness and tries to cure it by not allowing him work. However, she cannot fight against his dark hallucinations, and only succeeds in losing him. He returns to his previous life and finally works himself to death, as the Black Monk predicted. There are four roles in the work: Man (baritone), his Lover (soprano), her Father (baritone), and the Vision (bass). The singers are accompanied by a chamber ensemble of 15 players: one each of flute, oboe, clarinet and bassoon, all doubling on their auxiliary instruments, plus trumpet, trombone, horn and string quintet with piano and two percussionists. Anthony’s spnm shortlisted work, his Chamber Symphonyfor 15 players, was written at the same time as The Black Monk. It joins together many of the opera’s extraordinary instrumental interludes in a four-part symphonic structure. 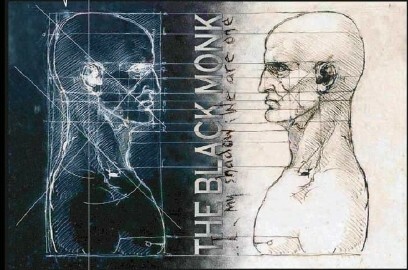 Copies of The Black Monk are available as a complete score, and a recording is available on 2 CDs. Email antbailey@.com or visit the contact page to request a copy.